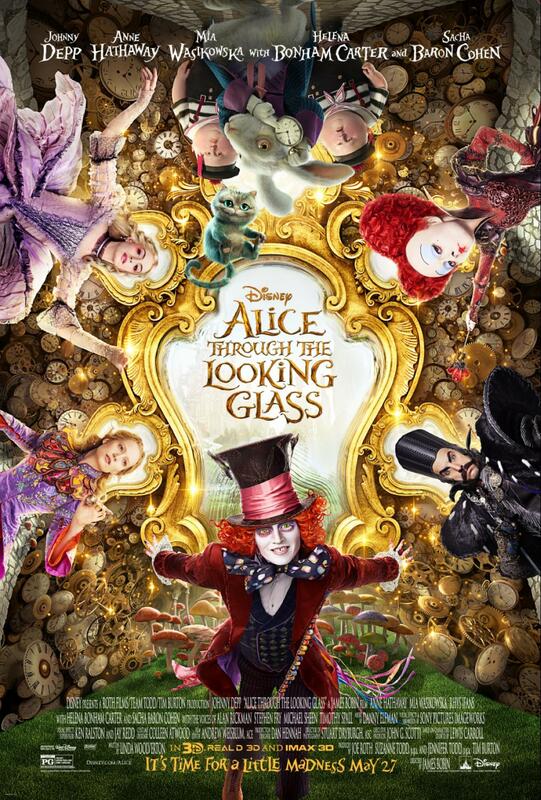 It's time for the madness to begin...Alice Through The Looking Glass opens in theaters nationwide May 27th. In 1871, Lewis Carroll published his sequel, THROUGH THE LOOKING-GLASS AND WHAT ALICE FOUND THERE. This movie takes a spin on those characters giving them an all new adventure. The moral of the story is centered around the importance of family. The film is very vibrant and psychedelic. The effects were neat. 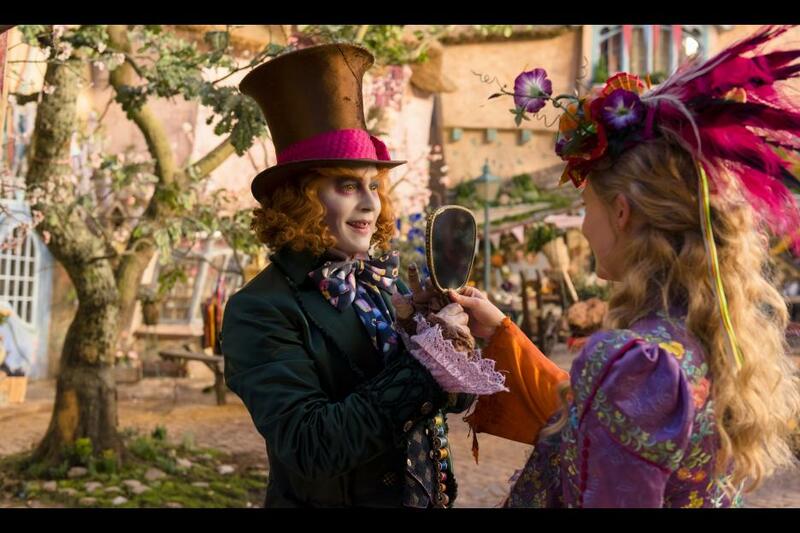 The costumes and makeup are elaborate and brilliant. The cast is impressive. Helena Bonham Carter brings the evil of the red queen to life. 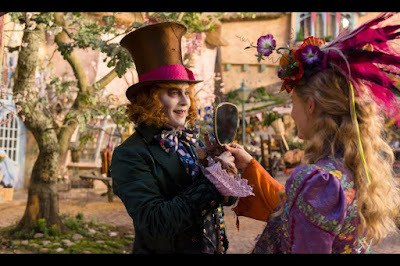 And Johnny Depp pushes the envelope on the weirdness and madness of the Mad Hatter in his reprising role. He is truly amazing and I really felt drawn in by his character. Sacha Baron Cohen was equally as amazing in his role as the Time. I was somewhat surprised that I liked him as Time so much. He almost stole the show, in my opinion. Mia Waskowska added a little edge and boldness to Alice. As for the storyline of this new adventure, I am not sure that I can buy into it. It seems a little more loud and adventurous than a journey Alice would have taken. Maybe it was because it is 2016 and they wanted it more bold?!? So, if you take away any preconceived elements from the former film or book, then you will probably enjoy it more. The kids will love it! But, as an Alice fan...I'd have to give it a 3 out of 5. You cannot overlook the costumes, settings and actors in their roles; they deserve the stars. The story line was a bit lacking, but the moral is spot on.